Hey, hey, heyy! 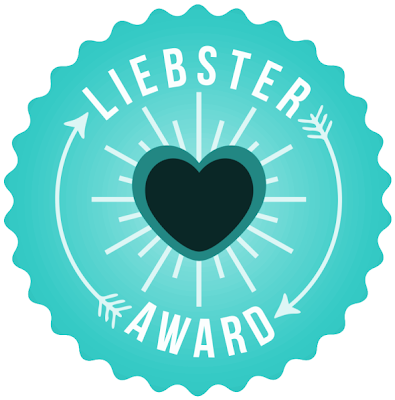 I am super happy to have been nominated for the Liebster Award by the gorgeous Kelsey over at Peach Blossom! Basically, this means I just have to give you guys 11 facts about me and answer 11 of Kelseys questions! Scroll to the end for more deets on the rules! Soo here it is..
5. If I could I would eat a very unhealthy amount of Pop Tarts..
6. I play lots of piano.. it keeps me sane! 8. I'm really bad at buying presents.. unless you want a stapler that also stamps smiley faces..
1. If you could be reborn as another person, who would you choose? That's a tricky one.. nobody's life is perfect so I guess I'd honestly just stick to being me! 2. What is your favourite type of thing to blog about? I love doing OOTD's even though I've only recently started doing more and more! I just love pulling real outfits together from head to toe and getting out in front of the camera, even though I must admit it can be quite embarrassing! Oooh so many things I can't even name them all! I'm really not comfortable in the dark, but I wouldn't say afraid! I'm kind of afraid of leaving school too, even though I know I'll be ready when the time comes! 4. Who is your favourite blogger or YouTuber? I absolutely love 4ng Style, everything's just right on trend! Aand of course, I don't think I've even missed one of Niamh's posts over at Love Life! I must say you can't really beat retail therapy! Whenever I'm feeling down I'll be online shopping.. I really must start saving my money! Other than that you can't beat chocolate Pop Tarts! 6. Your dream engagement scenario? To be honest, I haven't really though about that yet! I'm only young so it's not really on my mind right now! 7. When deciding what to wear, what do you choose first? I think it's really important to start with the core of the outfit (ie dress, top, jeans etc) and then build it up. Always save the shoes and accessories until last! 8. You have won £500 in a shop of your choice, which shop is it? You definitely can't beat H&M, so take me there! 9. What is your favourite thing about lazy days? Staying in my pyjamas all day has to be the winner here! 10. Are you a saver or a spender? I'm definitely a spender! Even if it's just a game of Monopoly, I'll be the one to go bankrupt first! And heeerree are my questions! 5. Most embarrassing wardrobe malfunction? 6. Favourite thing to blog about? 7. Top 5 wardrobe essentials? 8. What's your No.1 go to shop? 9. What motivated you to start your blog? 10. Do you prefer to be behind the camera or in front? Make sure you let me know when you've completed the challenge ladies!